ATENEO put an end to reigning champion National University’s 22-game win streak with a 66-64 victory on Saturday at the end of the first round of the UAAP Season 77 juniors basketball tournament at the Blue Eagle Gym. The Blue Eaglets finished the first round with a clean 7-0 record while handing the Bullpups their first loss since dropping the championship series against Far Eastern University-Diliman in 2012. A Hubert Cani-led NU swept all its 16 games in Season 76 en route to the championship, then won its first six games of this season. 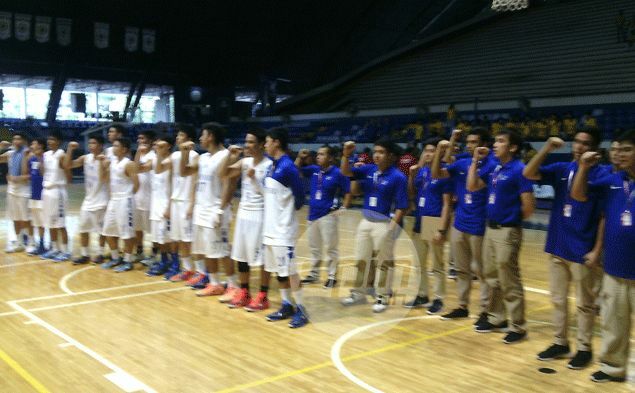 Cani, incidentally, is now red-shirting for Ateneo's senior team. Jolo Mendoza had 20 points while Mike Nieto grabbed 15 rebounds for the Blue Eaglets, who finished runner-up to the Bullpups last season. Mark Dyke had 19 points and 16 rebounds for the Bullpups, who slipped to second place with a 6-1 slate. De La Salle-Zobel climbed to solo third place at the end of the first round after defeating Far Eastern University-Diliman, 55-50. Aljun Melecio and Joaquin Banzon each had 18 markers for the Junior Archers, who finished the first round with a 5-2 record while dropping the Baby Tamaraws to 4-3. In other games, University of Santo Tomas (2-5) defeated winless University of the East (0-7), 77-65, while Adamson (3-4) beat University of the Philippines Integrated School (1-6), 56-50. Second-round hostilities start on January 8.